Hey Guys! Today’s Friday Favourite isn’t a beauty product , it’s The Sims 2. 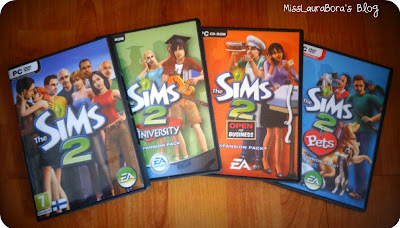 I have The Sims 3 and love playing it but I came across some of my old Sims 2 games a couple of weeks ago and remembered how fun they were, especially Open For Business and University. 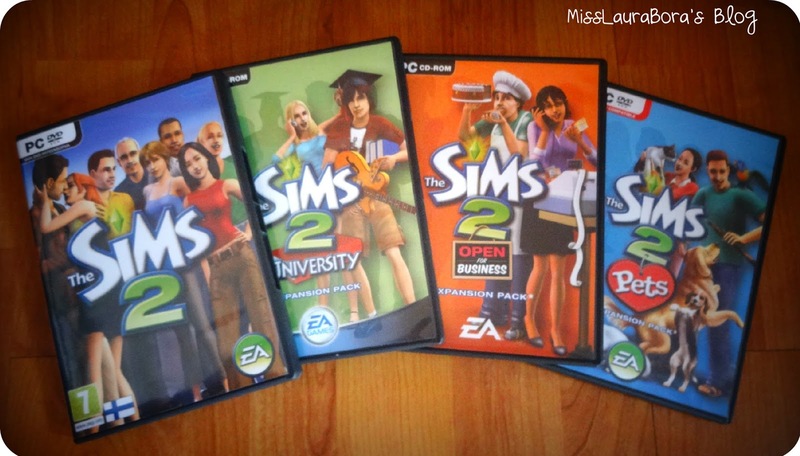 I wanted to play them again but realized that I didn’t have the original Sims 2 any more and I couldn’t install the expansion packs without it. I then proceeded to ask all of my friends if they had it for me to borrow, but nobody did so I ordered it on Amazon last week for €14.99. It took a few days to come and I was so excited when it did. Now I had read online that The Sims 2 wasn’t compatible with Windows 7 and I wanted to install them on my laptop which has Windows 7 so I could bring them with me when I go to France for 5 months. I found out how to fix this online though and both The original Sims 2 and Sims 2 University installed perfectly. When I tried to install Open For Business though it wouldn’t work. This was the game I most wanted to play so I was a bit annoyed, but then I decided try and install it on my computer at home so I could at least play it for a week or two before I have to leave for France. It worked and I spent the whole evening yesterday playing the Sims 2. Although it isn’t the same as The Sims 3 (you can’t just walk freely around the neighbourhood or decide your objectives in work), It is still a really good game. The Sims 2 University is so much fun. You get to pick your subject major, live in a dorm with other students or start a band. This also gives a wider variety of job options to your sims once they graduate. Just like the real thing, the sim college experience can be really fun and I just really love it. The Sims 2 Open For Business was the whole reason I wanted to play The Sims 2 again. It’s so cool to build your own business and order your employees to help customers or be cashiers, trying to make a profit as you go. You can make any business that you want: a toy store, restaurant, flower shop, art gallery, car dealership, etc., that’s why it’s so much fun. You can sell whatever you want, you could make a whole shop selling gone off lasagna if you wanted to. (but nobody would probably buy anything :P) It’s so much fun to see if your business is going to fail or became extremely successful. Whenever a new version of The Sims comes out, there is also one expansion pack that I can’t wait for : Pets. I love animals so I always like this expansion pack. It’s always fun to add a new puppy to your sims family and watch it grow up. This game is exactly what it sound like though, it just adds pets to your game so isn’t as fun as University or Open For Business but I do like it a lot. Hope you liked this post 🙂 Which is your favourite Sims game and why? Leave a comment below. Previous Post Permanent Tan by Tattooing?